I’ve hardly written a post on an individual. Our host during last December’s bike trip in Thailand was different. It was a great experience spending 7 days in his company and I am compelled to write a few words about him. 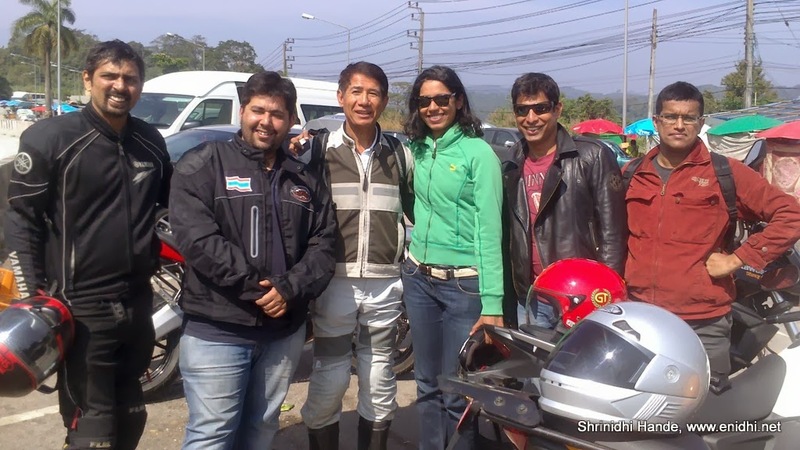 Mr Sethaphan Buddhani was our host during Ride Thailand bike tour across northern Thailand. He is director, Tourism Authority of Thailand, Mumbai division. He operating out of TAT's Mumbai office and his primary task is to promote Thailand as a tourism destination. He was educated in Texas and his proficiency in English soon got him the job that involved promoting his country as a preferred tourist destination. Mr Buddhani is well recognized and respected in all hotels and destinations we visited. Getting to spend a week with him allowed us to uncover the lesser known side of Mr Buddhani. While he might appear aged, he is one inspirational person to be with. He is full of energy and still very humble. Early in the morning, when I get up and go for a walk, thinking I am the first person to wake up, Mr Buddhani would have been already there, talking to the owner of the hotel/resort or indulging in other activities. Any tourism or Thailand related question I would ask, Mr Buddhani had the answers and number ready. Including which countries brought most revenues to Thailand, where do Indians stand etc. Other senior executives would have probably directed me to their assistants for numbers. When I talked to him about generic complaints on Indian tourists (that they take away stuffs from hotel rooms, never honor time etc), Mr Sethaphan acknowledged the fact, but was quick to add that it is probably because those Indians didn’t know what to do and what not to do. He said they were probably first time travelers who had spent lot of their savings for the trip and were determined to take home maximum value for it. [Related: Great Indian Traveler Pledge ] Any other person would have added fuel to fire by adding more complaints or negative things, but Mr Budhani tried to reason out why it happens like that. He was considerate about the issue and not frustrated by it. These little things make him a different person. 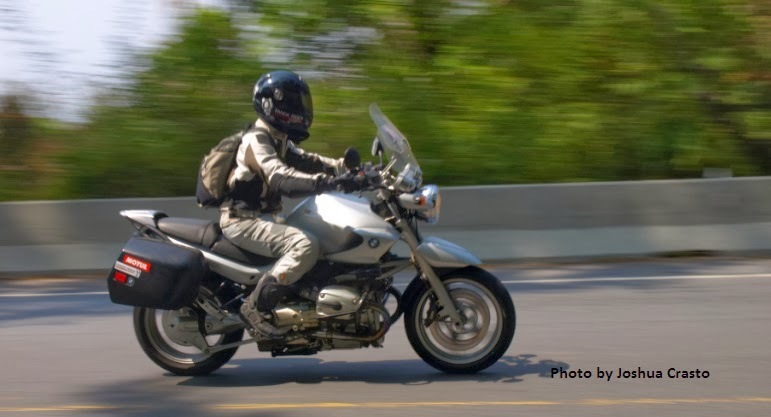 Mr Buddhani riding his BMW 1100 R- Image clicked by Joshua Crasto. An avid biker himself, he would carefully observe us riding and give tips to improve. If we were doing anything wrong, he would politely communicate it via others. Mr Buddhani is also an avid golfer. One of the key reason to his healthy life is probably that he doesn’t smoke and has given up on alcohol long back. Those who smoke & drink- do take note. End of the trip, Mr Buddhani said sorry to us on the grounds that it was difficult to arrange adequate vegetarian options for 3 of the pure vegetarians in our team. We were left speechless by his humbleness. I look forward to his company again. Hats off to you sir.